" In details, total assets of Bank DKI in March 2017 reached Rp 45.92 trillion, while in March 2018 increased to Rp 51.22 trillion or equivalent to 11.56 percent"
Bank DKI President Director, Kresno Sediarsi said total assets of Bank DKI in the first quarter of 2018 reached 11.56 percent or equivalent to Rp 51.22 trillion. 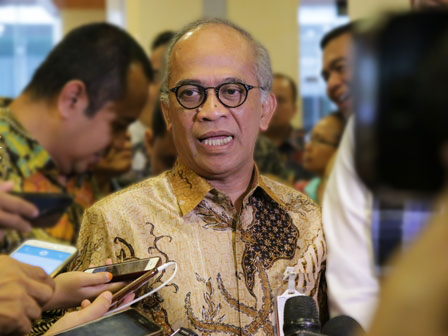 "In details, total assets of Bank DKI in March 2017 reached Rp 45.92 trillion, while in March 2018 increased to Rp 51.22 trillion or equivalent to 11.56 percent," he stated, Wednesday (5/2). He explained, the growth of the total assets was driven by the growth of Bank DKI Third Party Funds that which grew at 17.17% from Rp 33.33 trillion per March 2017 became Rp 39.05 trillion in March 2018. The composition of this DPK growth consists of demand deposit of Rp 8.6 trillion and savings per March 2018 that was at Rp 6.38 trillion. While deposits of funds on deposits were at Rp 24.60 trillion. Aside that, every year, Bank DKI continues to improve Non Performing Loan (NPL) radio. In March 2018, NPL Gross Bank DKI recorded at 4.08 percent, and significantly increased from March 2017 by 5.37 percent. NPL Nett Bank DKI per March 2018 was 2.58% from 2.86% per March 2017. "The improved NPL ratio was prompted by the credit process improvement effort to ensure credit disbursement was done prudently," he explained. It was because his side made improvements to the SOP, the arrangement of the authority to stop the credit in accordance with the principles of four eyes principles, centralization of credit analysis and administration process, as well as improving the quality of human resources in the field of credit. "Aside that, Bank DKI also does credit collection intensively, execution auction, collateral takeover and credit restructuring," he stated.